Planning a vacation is one of the most exciting feelings ever! But let’s get real... it’s also downright overwhelming. From finding the best things to do in the destination, to scouring the web for the cheapest flights to being sure you’re prepared with the best travel insurance, there’s a lot to think about. And we haven’t even mentioned packing! 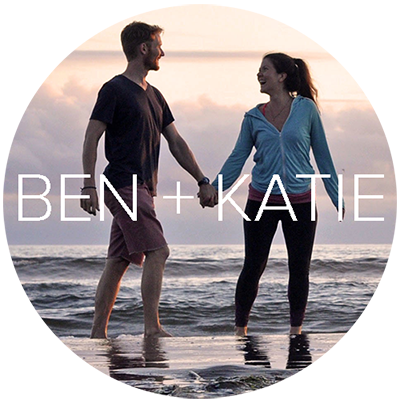 Lucky for you, we have been planning trips all over the world for the last 5 years, and we have learned SO much. Planning a vacation is one of the most exciting feelings ever! But let’s get real... it’s also downright overwhelming. From finding the best things to do in the destination, to scouring the web for the cheapest flights to being sure you’re prepared with the best travel insurance, there’s a lot to think about. And we haven’t even mentioned packing! Lucky for you, we have been planning trips all over the world for the last 5 years, and we have learned SO much. Wanna know how we learned it all? We made countess mistakes along the way. But don’t worry, you don’t have to screw up as much as we did because we are sharing our expert advice with you... Advice that we’ve picked up through nearly 50 countries and on all different types of trips. From our best budget hacks to our foolproof packing list to our trips for finding cheap flights, we’re covering it all! We've learned a lot (A LOT) over the years about travel planning, and we want to share because we know exactly how it feels to be lost in the whole planning process. Visas and currency and booking can seem impossible at times, so we've laid it all out for you in a simple step-by-step planning guide. You've got to think about the whole money thing. I mean, how exactly do we afford to travel for extended periods of time? I'm glad you asked. We have put together one of the most comprehensive and detailed guides you'll find. Follow our tips, and you'll be able to follow in our footsteps. No gimmicks. Ever since starting this blog, we have perfected the way we pack for traveling. Whether you're going on a one-week trip or traveling around, this packing list has everything you need to throw in your bag to prepare you for your adventures. Finding a super cheap flight is one of the most exciting feelings. Not only have you saved money, but you’re about to plan an adventure! We’re sharing all our tips and secrets that have helped us find incredibly cheap flights all over the world. After reading this, you’ll have the tools you need to score an amazing flight deal for your next trip. If you dream of traveling but don’t know how you can afford it, you’ve come to the right place. We’re sharing all our cheap travel hacks that have allowed us to explore the world, even while paying off student loans! This guide will explain exactly how you can afford travel, even if you’re broke right now. Travel insurance is just as important as your passport and contrary to popular belief, it's NOT expensive. Accidents can happen anywhere, and you want to make sure you're covered in case of an emergency. We're sharing a story about why you NEED trip insurance, and we'll discuss the best, most affordable policies out there to help you choose the one that fits your needs. Traveling is one of the best gifts you can give yourself, but we know it can be a little nerve wracking sometimes. How do I stay safe in a foreign country? How do I avoid getting pickpocketed? Whether you’re traveling solo or are hopping on your first international flight, these practical tips will help ensure you stay safe on your travels. We’ll help you avoid common scams, prevent injury and know what to do in an emergency. We are passionate about traveling in a way that is ethical, sustainable and responsible. We’ve seen firsthand how travel negatively impacts communities and the environment if it’s not done mindfully. We are always try our best to support eco-tourism businesses that are doing good things in their communities and we try our best to travel in a way that leaves the smallest footprint. Traveling responsibly is a constant learning process and we’re not perfect, but we take great pride in learning and growing. Let’s learn and grow together! Your wanderlust is about to be sparked! From some of the world’s biggest cities to remote villages, we’ll help you start your journey. We love putting together detailed travel guides with our favorite hotels, beaches, restaurants, small towns and adventure activities. You might even find some destinations you’ve never heard of before! And we share our blunt and honest opinions – if we didn’t love a city, we’ll tell you. Let’s stoke our wanderlust together!